A new study has confirmed the efficacy of the Karius® Test for detecting pathogens potentially faster than standard testing. The Karius Test is a non-invasive blood test based on next-generation sequencing of microbial cell-free DNA (cfDNA) that can identify over 1,000 clinically relevant bacteria, DNA viruses, fungi, and parasites. The results of the study validating the efficacy of test have been published in the journal Nature Microbiology. 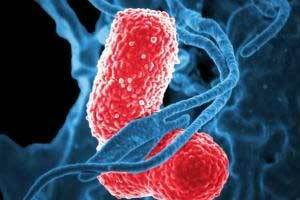 The culture-based tests have been the standard diagnostic method to detect infections. Yet only a fraction of pathogens known to infect humans is readily identifiable using existing diagnostic methods like blood cultures or other forms of microbiological testing. This study demonstrates the value of genomics to help clinicians improve the diagnosis of infectious diseases to save lives. This prospective, observational study is the first and most comprehensive study to validate the Karius Test as a metagenomic, infectious-disease diagnostic tool. It demonstrates the technology’s power beyond the lab to help doctors treat some of the most critically ill patients. The test’s clinical performance was evaluated in 350 patients with suspected sepsis, which can be caused by a wide range of pathogens that cultures often miss. The Karius Test outperformed other microbiological tests in diagnostic yield. The rate of pathogen identification was about three times higher than blood culture and 28 per cent higher than all microbiological testing combined. There was a high agreement between the Karius Test and existing diagnostic tests. The rate of agreement was 93.7 per cent with blood culture and 92.9 per cent with the composite reference standard. The Karius Test’s “time to diagnosis” was potentially shorter than standard-of-care testing. The median time from blood draw to test result for the first 2,000 samples was 53 hours. The Karius Test proved to be highly accurate, with greater than 95 per cent analytical sensitivity for organisms contributing as little as 50 fragments of cfDNA per microliter of plasma, and greater than 99.99 per cent analytical specificity per pathogen. The quantitative measurement of cfDNA concentration in plasma was linear over five orders of magnitude, with less than 25 per cent standard error for all organisms across multiple measurements over several days. Application of the Karius Test to asymptomatic adults showed no significant levels of microbial cfDNA in most, with low levels of known human microbiome components detected in the remaining samples. The study’s analytical validation section identifies key challenges to developing a clinical-grade test in the field of metagenomics and evaluates test performance in light of these challenges.